Massachusetts is now the second state in the US, behind Rhode Island, to have had all of its maternity hospitals eliminate the practice of distributing formula company discharge bags. 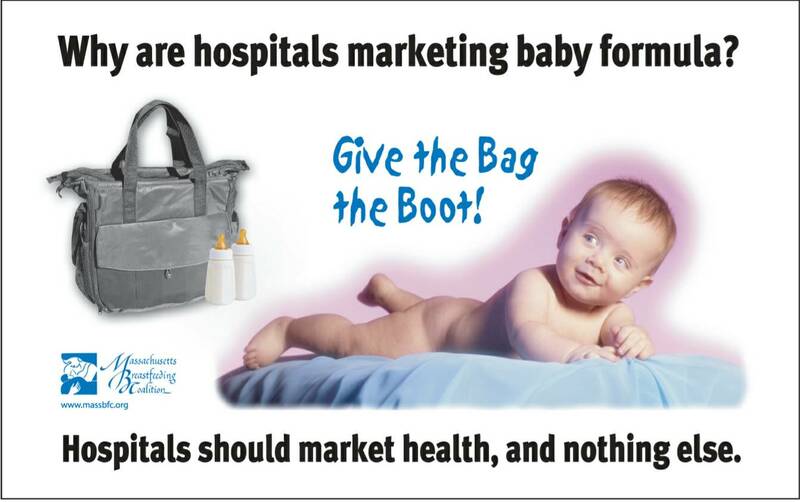 Ban the Bags is a campaign that began in 2006 to rid hospitals of the practice of distributing formula company discharge bags or other discharge gifts to mothers when leaving the hospital. It was started after efforts in Massachusetts failed to insert regulations regarding such a ban into our hospital perinatal regulations. Ban the Bags, the Massachusetts Breastfeeding Coalition, and the MotherBaby Summit have all encouraged hospitals to eliminate this practice through letter writing, education of hospital management at summits designed just for them, and downright shamed them into doing it in order to get off the list of hospitals we kept who continued engaging in this practice. The list of hospitals who continued to give out these bags was displayed on the MotherBaby Summit website and was placed on a large poster board and displayed annually at the Massachusetts Breastfeeding Coalition’s yearly conference. Ban the Bags answered many e-mails with suggestions, references, and approaches to help individuals get the bags removed from their hospital. Ban the Bags found that many hospitals did not really care about the effect of formula bags on breastfeeding but responded when told that it was a breech of medical ethics, was in opposition to the hospital’s own mission and vision, and was no different than unethical arrangements with pharmaceutical companies. We encouraged people to contact their hospital Ethics Committee for an opinion on a practice that promoted the use of a potentially hazardous product and how this related to the ethical principles of “first do no harm” and the obligation of health care providers to act in the best interest of their patient. We counseled people to contact the hospital’s Corporate Compliance Department to report how these bags were a conflict of interest, especially since HIPAA defines them as a form of marketing. We recommended that people contact the hospital’s Risk Management Department to inform them that because the hospital had no stock control there was no method to contact patients who had received the bags if there was a recall of the formula. Such a recall occurred in 2006 when one company’s bags were recalled due to the defective packaging of formula inside which resulted in a vitamin C deficiency. Also, the powdered version of formula is not sterile and the hospital could be handing out and liable for a product contaminated with Chronobacter sakazakii. Mothers were never instructed by the hospital in how to safely prepare the powdered formula that they were essentially marketing for formula manufacturers. Eliminating the bags was a fairly easy way to increase the hospital’s score on the mPINC survey. 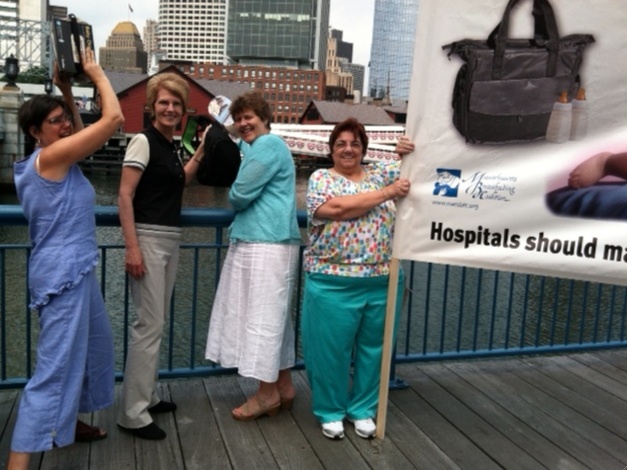 Ban the Bags advocates toss bag into the original location of the Boston Tea Party! Hospitals were concerned that they would have to pay for formula, as the formula companies fought hard to prevent the disappearance of this lucrative and inexpensive marketing tactic. We have found that this was not actually true, as manufacturers did not remove their product from the hospital which represented essentially a captive audience. Companies know that well over 95% of mothers continue to use the brand of formula given to their infant in the hospital. Why would a formula company give up this potent marketing advantage? We heard how terrible it would be for poor mothers who could not receive this “gift.” Of course there is only enough formula in the bag for about a week or so worth of feedings, just enough to reduce a mother’s milk supply and accustom the infant to the bottle. Detractors complained that we were “forcing” mothers to breastfeed or removing their choice of infant feeding methods. Mothers decide how they wish to feed their infants well before entering the hospital. Bags have no effect on feeding decisions, they have only one purpose, which is to cause a breastfeeding mother to use formula and create a customer/market where none existed before. We have found that when hospitals remove the bags, they show up in community pediatric and obstetric offices, clinics, and even in ultrasound departments. Make sure to ask that all of these entities cease distributing formula company materials, as this works directly to counteract your efforts in the hospital. Ban the Bags at www.Banthebags.org has many helpful recommendations on approaching the elimination of this practice. I am happy to help and you can email me at Marshalact@gmail.com. 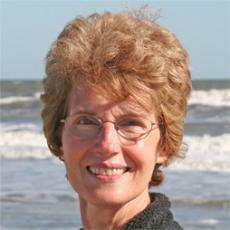 Marsha Walker is a registered nurse and international board certified lactation consultant. She maintained a large clinical practice at a major HMO in Massachusetts, is a published author and an international speaker. Consulting with hospitals, providing in-service presentations, speaking at conferences and workshops and advocating for breastfeeding at the state and federal levels occupy her professional time. She is currently a member of the board of directors of the Massachusetts Breastfeeding Coalition, Baby Friendly USA, Best for Babes Foundation, and the US Lactation Consultant Association (USLCA). 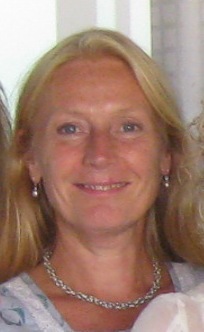 She is a past president of the International Lactation Consultant Association (ILCA).